PSYCHIC BRUNCH: monthly event, private readings & talent agency. Our readings WILL change your life! Launched in 2003, Psychic Brunch is a fun monthly event that’ll nourish your body and soul. We also offer private readings and talent for parties and corporate functions. Our gifted psychics can bring clarity and hope to any situation — as life is full of possibilities once we become self-aware, embrace change, and tap into our hidden potential. • We only hire GENUINE Psychics. • We’ve been on CTV News, ONE Network, 24 Hours, & CityTV. • 97% satisfaction based on customer feedback. • Psychic Brunch has been running since 2003. • Net proceeds benefit RACA, a non-profit organization. We believe a good reading should tell you what you inherently know — resonating to the core of your being. Our Psychics abide by very high standards of ethics. We’ll never speak of “curses” as a means to lure customers into purchasing additional services. Nor will we pressure clients to come back for follow-up appointments. Our Psychics will never judge a client for their lifestyle choices, or push our values or beliefs on anyone. 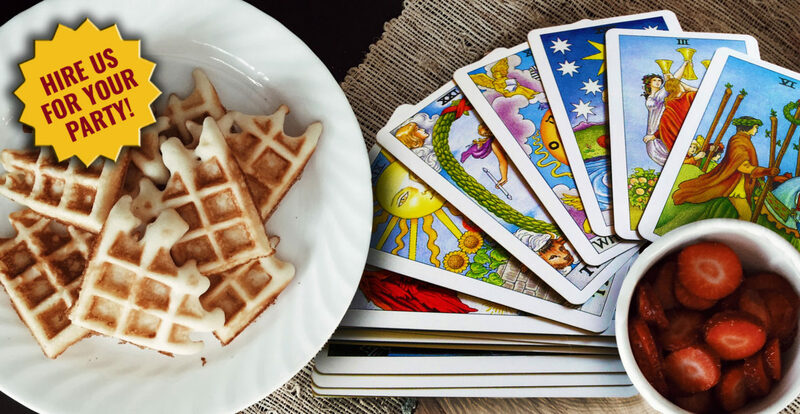 The Psychic Brunch is an LGBT-friendly event that welcomes clients of all cultures, ethnic backgrounds, gender identities, ages (18+), and abilities. Our monthly event is wheelchair accessible (please note: Cranberries Restaurant does not have automatic doors or bathroom rails). To book us for your party, please click here. Our gifted and professional Psychics will make any special occasion more memorable We’ve previously worked at engagement parties, girls’ night out, wedding receptions, bachelorettes / stagettes, Christmas / holiday parties, corporate functions, expos, fairs, private events, baby and bridal showers. 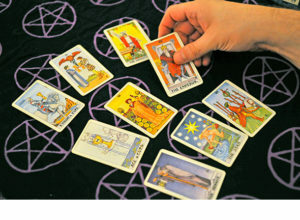 Our Psychics have over 100-years combined experience. Our team includes spiritual counselors and healers, tarot readers, reiki practitioners, clairvoyants, mediums, fortune tellers, mystics, astrologers, palm readers, numerologists, pagans, shamans, and more.